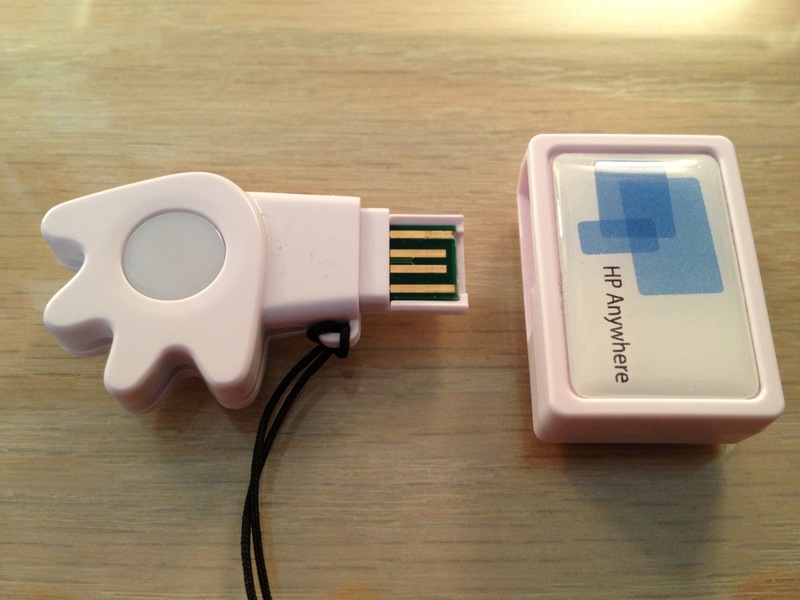 HP’s Anywhere provides a cross between an enterprise App Store and a portal to access enterprise applications. It allows enterprise mobile developers to create apps that are consumed by internal users on a variety of devices. The concept of an enterprise app store is interesting but not new. The combination of an app store along with a portal to enterprise applications is where I think the value is. To an established enterprise that may have a number of legacy applications, making them available to a growing mobile workforce is not a trivial matter. At first blush, it appears that HP Anywhere could provide the interface to mobile-enable enterprise legacy apps while maintaining the mobile experience. Across the show floor, I noticed a few folks carrying this curious device hanging from their badges. Beyond the cute shape of a playful hand, is a platform that could be very interesting. 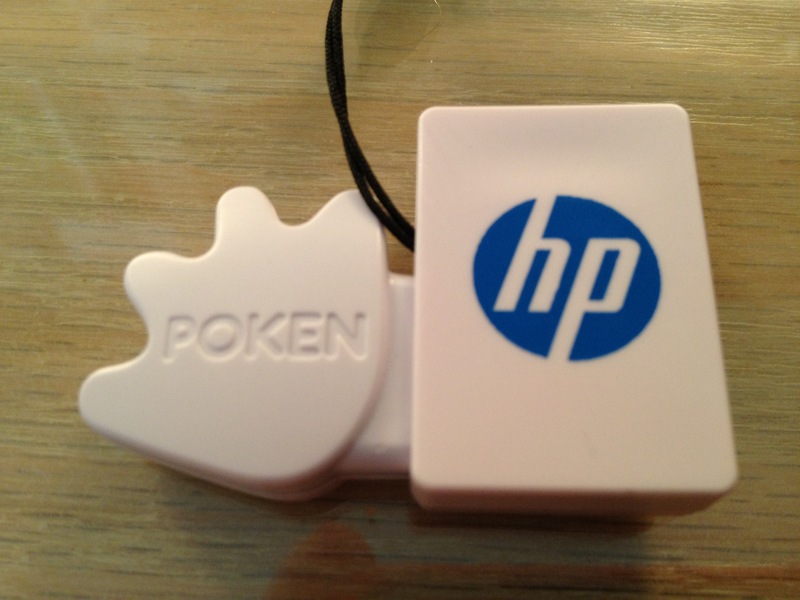 However, at HP Discover, the Poken device was mainly used to store and exchange business card information via a NFC connection. That aspect is novel, but definitely not new or interesting. The functionality arrived more than 10 years ago with the Palm “beam” capability where two users could ‘beam’ their business card info back and forth via Infrared. Years later Bump provided similar capabilities via a mobile app. If we look beyond just exchanging contact info, the Poken device demonstrates an interesting platform for mobile exchange to collect or share data. The company targets the exhibitor market, but just imagine if enterprises could share information in a similar way with clients, prospects or providers. In addition to just exchanging contact information, data could include technical documents, data sheets or website URLs…maybe more.